She is a Senior Gynaecologist Endoscopist and Fertility Physician.She did her graduate medical education and post graduate studies in Gynaecology from The Seth G S Medical College and KEM Hospital and was holder of the V N Mazumdar prize during that time. She joined the Sion Hospital as a Lecturer and continued as an Associate professor and finally as Unit Chief gaining valuable experience in complex open surgeries and managing patients with multi system disease as well as life saving proceduresShe studied operative Endoscopy at the BEAMS and Ethicon institute as well as the Universities of Geissen and Kiel in Germany and holds a diploma in Gynaecological Endoscopy from the University at Kiel, Germany. As Faculty for the Aesculap Academy she organized several training programmes and taught over a hundred doctors from India, Asia and Africa endoscopy techniques.She was bestowed the Hargobind foundation fellowship in 2007 during which period she studied Endoscopic microsurgery at Milwaukee with Drs Charles Koh and Grace Janik and Robotic surgery at Stanford with Dr Camran Nezhat. 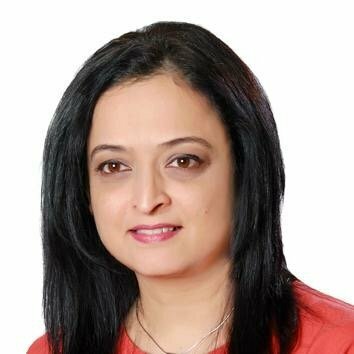 She is attached to several leading city hospitals like the Breach Candy, the Global Hospital and the SL Raheja Fortis beside working at the Rotunda clinics. She has dedicated herself to the care of Fertility seeking patients since 2004 at the Rotunda IVF clinics and manages the Rotunda Fertility Center with the team of dedicated professionals.